Sweet Cherry Summit fruit trees - This early variety is a Van x Sam cross which originated in British Columbia. Fruits are light in colour with strong, sweet taste. 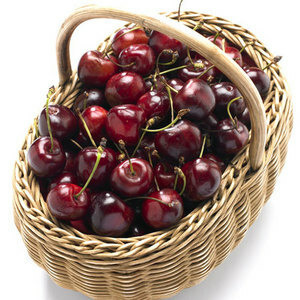 It is among the largest of the cherry varieties. This is a beautifully shaped cherry (heart shape) and is a delight to eat. It is somewhat resistant to cracking. I love receiving a crate of Blackmoor trees as I know they will always exceed my expectations. Today is no exception. Thank you very much for my great Summit!